Studies show that consumers not only will switch to a competitor after a poor customer service experience but will share their negative experience on social media sites. 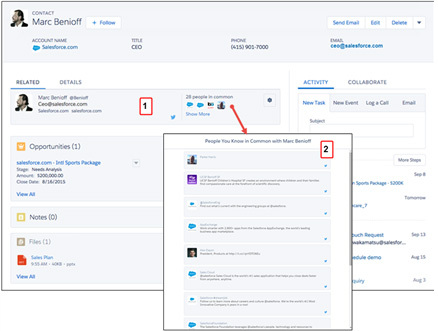 Recognizing the importance of the customer experience, Salesforce's Service Cloud Einstein now gives agents the ability to view and respond to customer comments on Twitter and Facebook directly from Salesforce. When Salesforce's Service Cloud Einstein is integrated with social media, it puts artificial intelligence to work. Using keywords, classifiers, and language detection tools, it ensures that agents are alerted to social media posts that may require action. These alerts will help your sales team understand what your customers like or dislike, and what questions they may have about your products or service. Your agents can respond promptly to a social media post, either with an email, phone call, or online chat session. Route social media customer care requests directly to their company’s service team. Easily monitor social media posts and take real-time action. 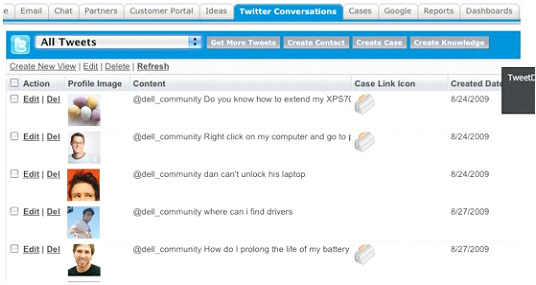 Add a lead or contact discovered through Facebook or Twitter, and create a case to keep track of problems. For Twitter accounts, agents can use case and lead feeds to view content that they may wish to respond to or retweet. They can also “like”, follow, send replies, and direct messages or delete tweets managed by their organization’s social accounts. View "All Tweets" or chose to view only "New tweets." The screen will display the author's name, Twitter line, profile image, published date, and a link to the full Twitter comment. 1. 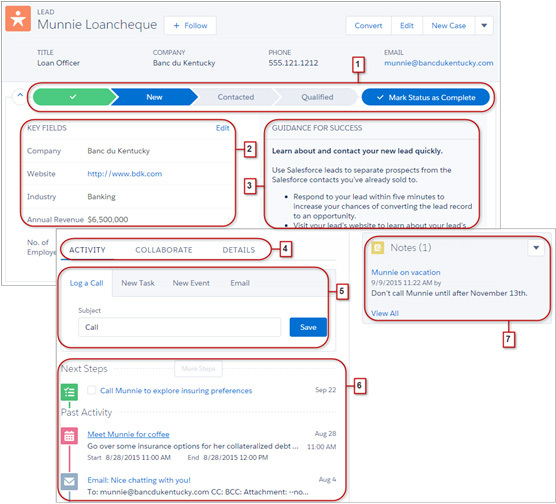 Create a contact, lead or case inside your Salesforce Service Cloud. 2. Follow or unfollow the commenter. The screen will display the contact's name, title, organization, phone number, and email. Actions, tasks, opportunities, and notes can also be recorded or scheduled. You can also see who you have in common with the new contact. The screen will display the lead's name, title, organization, phone number, and email. Actions, activities, tasks, opportunities, notes, and next steps can also be recorded or scheduled. Guidance on how to proceed also appears. It’s all neatly organized and has been designed to help agents work more effectively. Cases and leads can be created from your company’s Facebook page. Agents can see and can like comments, send a reply or private message, or delete posts managed by your social accounts. View Facebook user details such as name, email, profile picture, birthday, city, state, and country. A link is provided to the full Facebook page comment and published date. Manage all Facebook pages from Salesforce, including scheduling a status update, video, image, or link. 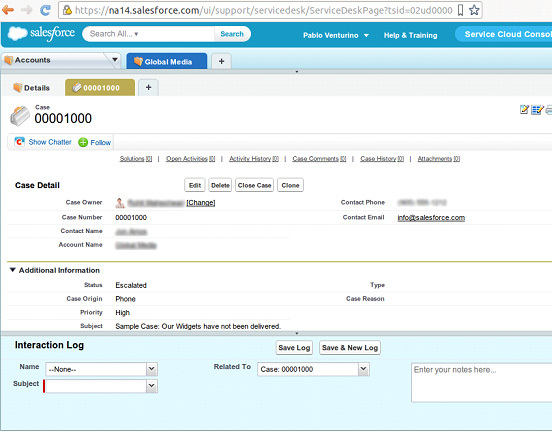 Convert the commenter into a Salesforce Contact or lead or create a case. With content from Twitter and Facebook, you can create a new case in Salesforce’s Service Cloud, log notes, and record the history of your interaction with the client. Data support is very limited. Not all Salesforce editions and licenses support the Service Cloud. The Social Customer Service setup pages, the moderation and authorization pages, and the reply action in the case feed are only available in Salesforce Classic. You can like, unlike, view source, and delete social media from the case feed while in the Service Cloud. However, you must reply to posts in Salesforce Classic. The more you know about your customers and clients, the more effectively you can target your message to them. Your customers will also tell you where you may need to improve by sharing opinions about your products or services and the experience they have with your company. Such data is invaluable to the future success of a company’s operations. 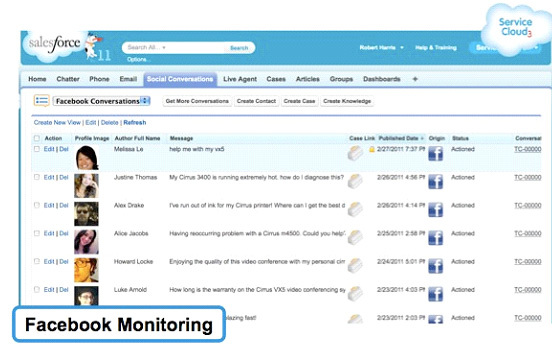 Salesforce’s Service Cloud simplifies the Facebook and Twitter monitoring and response process. If you are interested in upgrading to the new Service Cloud or are looking for Salesforce implementation, call AllianceTek today at 484-892-5713. AllianceTek provides a full range of Salesforce Services and other Cloud CRM services from CRM consultation to migration to implementation, support, and maintenance. 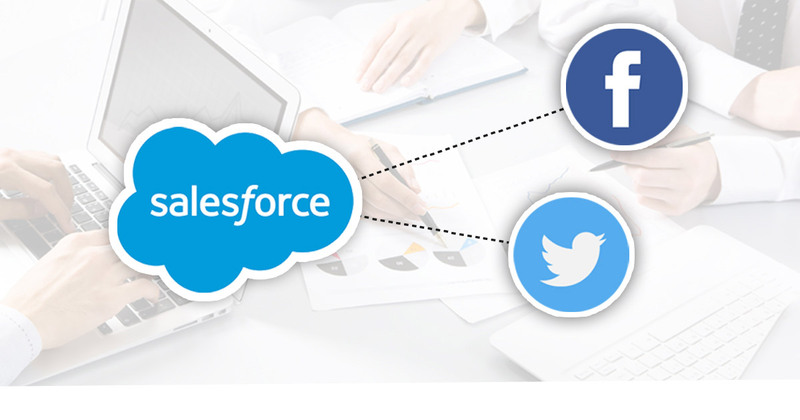 Call us at 484-892-5713 or Contact Us today to learn more about Salesforce integration with popular social media websites. Very nice blog and a complete set of information to understand Integrating Salesforce with Facebook & Twitter and related terms. Thank you so much. 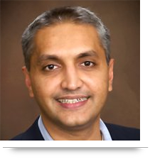 very helpful blog and i am new in salesforce and the way you demonstrate the thing is highly appreciate . Can integrate two module in sales force. Great Article! Thanks for sharing valuable content.